The RB-DDA6S 6 Way Stereo S/PDIF Digital Distribution Amplifier. The RB-DDA6S digital distribution amplifier is similar to the RB-DDA6A except that it is used for distributing digital audio data in S/PDIF format. It has a single S/PDIF audio input which is distributed to 6 x S/PDIF audio outputs at the same level and condition as the input signal. 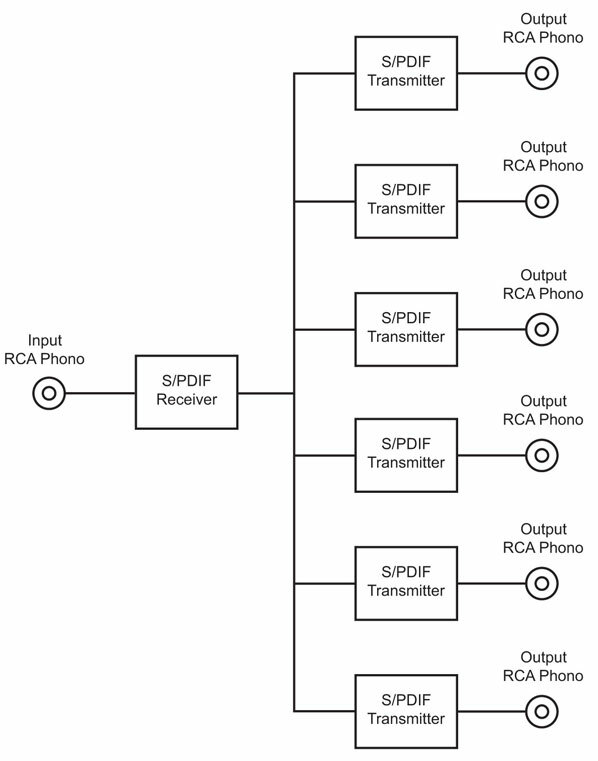 It can accept input sample rates in the range of 30kHz - 100kHz, and bit rates of 16, 20 and 24 bit.